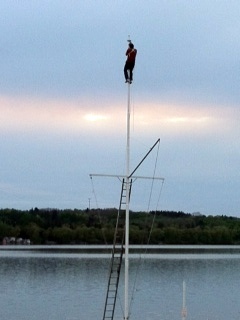 The last halyard on the club flagpole frayed and broke last fall. 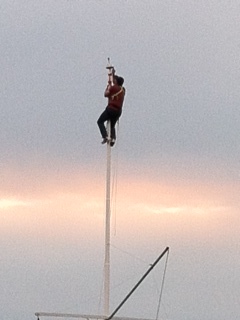 Club member Andy Frisbie climbed the pole Tuesday night and ran two new halyards through the blocks at the top. Hopefully, we won’t need to do this again for a very long time.